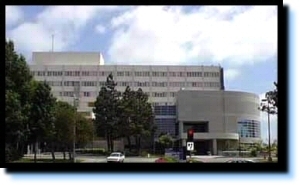 The externs will work on the Dual Diagnosis Treatment Program (DDTP) at the Harbor-UCLA Medical Center. This is a comprehensive treatment program that provides care for patients who suffer from both psychiatric and substance abuse disorders. The patient population includes adult men and women from a variety of ethnic groups. Externs will do weekly individual psychotherapy and co-facilitate several groups. They will also provide psychoeducation in groups and individual settings (topics include dealing with stress, job interview, relationship, and maintenance of healthy habits). They will also have the opportunity to perform initial dual diagnosis intakes and assessments. Primary individual supervision is provided by a licensed psychologist. Additional supervision is from program psychiatrists, as well as psychiatric residents. The program has daily teaching rounds from 9:30 to 10:00 a.m.
Externs are required to be on site on three days per week (Monday, Wednesday, Friday or Tuesday, Thursday, Friday) from 9:00 a.m. to 12:30 p.m.
Students applying for this position should have some prior experiences in providing direct services to psychiatric patients and/or substance abusers. Basic understanding of psychopathology and group process will be helpful.